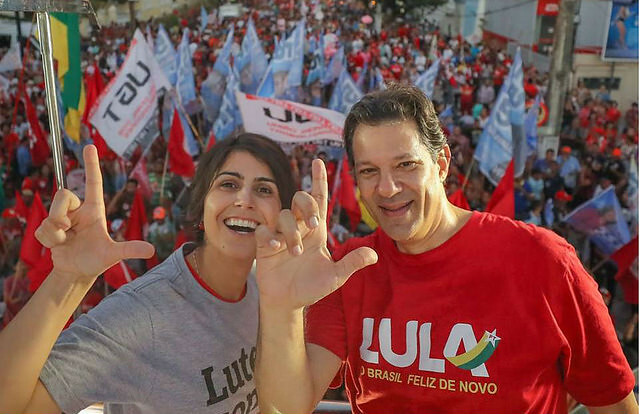 A new opinion poll released last Tuesday night by Ibope shows changes in the presidential race in Brazil, as the Workers’ Party candidate, Fernando Haddad, went up 11 percentage points since the last poll, from Sep. 11, and is now securing a second place with 19 percent of voter support. After the country’s top electoral court barred ex-president Luiz Inácio Lula da Silva from running for office, far-right candidate Jair Bolsonaro took the lead in the polls and now his support is at 28 percent, up by two percentage points since the last survey by Ibope. The difference between Haddad and Bolsonaro dropped to nine percentage points. The poll shows centrist candidate Ciro Gomes and right-wing Geraldo Alckmin behind Haddad in a technical tie, with 11 and 7 percent, respectively. Center-right candidate Marina Silva’s support dropped from 9 percent last week to 6 percent. The poll for the second round shows Bolsonaro and Haddad in a tie with 40 percent each. In last week’s poll, Haddad’s support was at 36 percent and Bolsonaro’s was at 40 percent. Ibope conducted the poll between Sep. 16 and 18. The margin of error is plus or minus 2.2 percentage points.